Grand Union flag of 1775 is considered by most historians as the first official American flag. 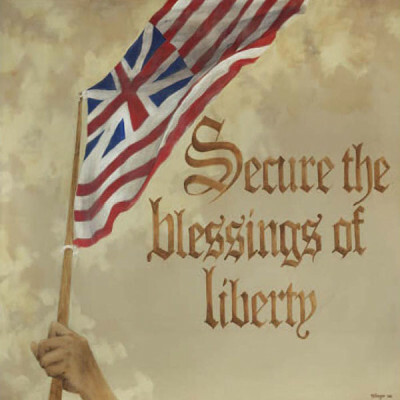 It was an adaption of the British navy flag but with thirteen stripes representing the thirteen colonies. At this time a majority of colonists did not want to break with Britain.